Climate change is making winter warmer, but many of us still need to bundle up with a cosy scarf this time of year. Now, thanks to a group of radical knitters (yes, knitters) in the US state of Washington, that ubiquitous winter accessory can double as an analog climate record for any location you choose. Launched in 2017, the Tempestry Project was a response to the Trump administration’s hostility toward climate science and burbling fears about what that could mean for federal climate data in America. Shortly before Trump’s inauguration, guerrilla archiving events began popping up nationwide in an effort to scrape government websites and create backups of their data. Reading about these efforts, Justin and Marissa Connelly of Anacortes, Washington, along with their friend Emily McNeil who runs a local yarn shop, decided to start archiving climate data for themselves. Their approach was decidedly more low-tech: the ancient art of knitting. 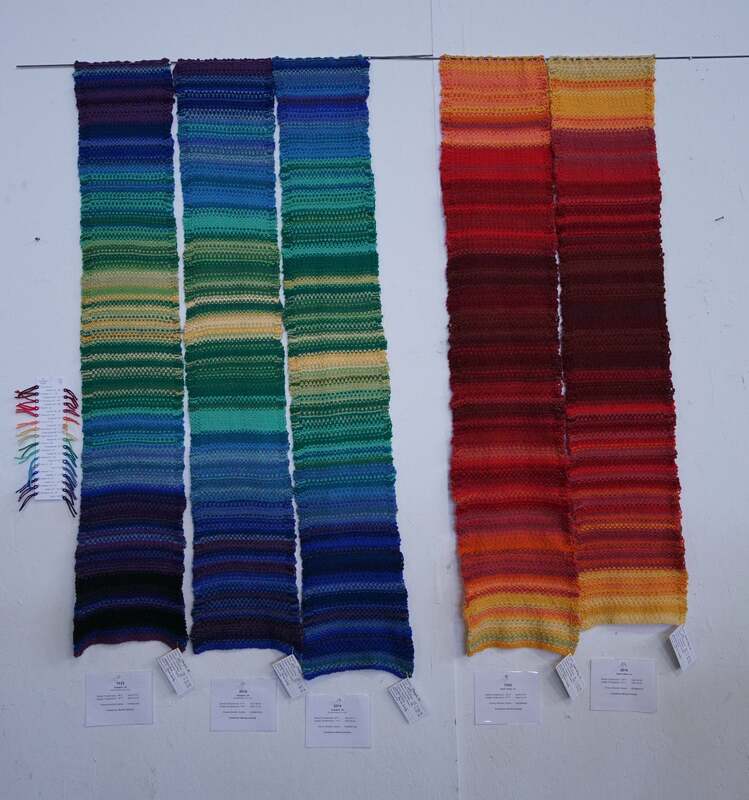 McNeil knitted the group’s first “Tempestry”—a scarf, or tapestry if you prefer, that uses a rainbow swath of colours to depict temperature data collected by the US National Oceanic and Atmospheric Administration (NOAA)—in the spring of 2017. 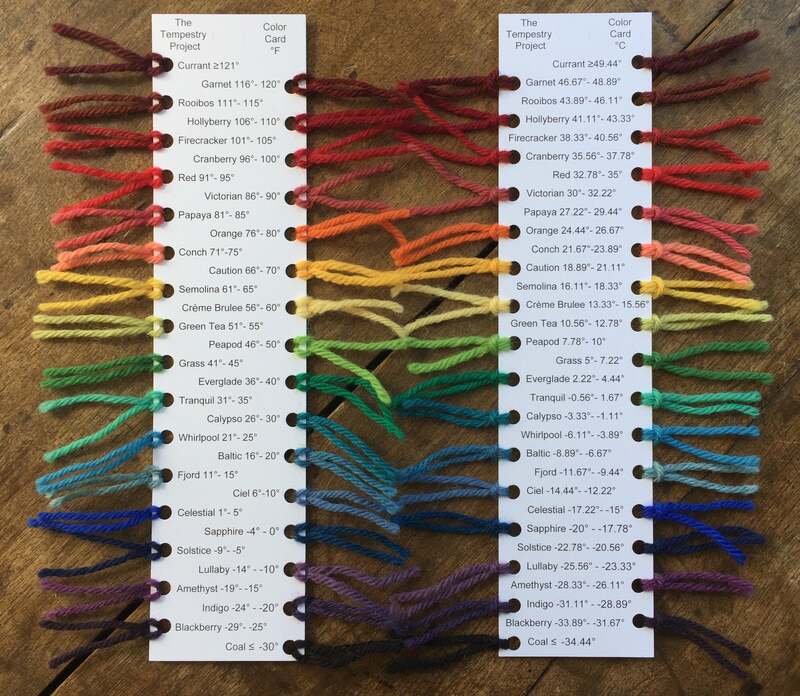 At first, these climate crafters simply shared photos of their work, along with their patterns and where to buy the yarn they were using, on Facebook. But as interest started to swell across the local and online knitting communities, the trio decided to make it easier for would-be data knitters around the world to get involved. So, they launched a website and Etsy store that sell custom climate-data-tapestry kits for purchase and developed a how-to guide on requesting the temperature data directly from NOAA. They even started picking up some commission work, although most people, Connelly said, seem more interested in making Tempestries for themselves. That probably has something to do with the personalised nature of these climate records. 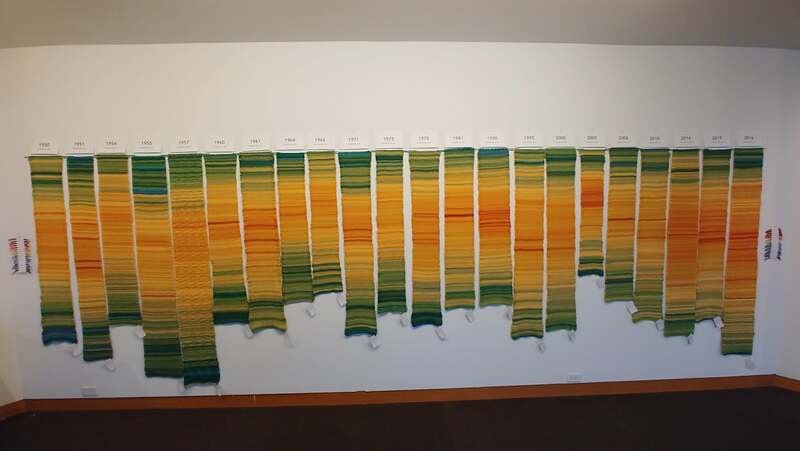 While climate visualisations often focus on global average temperatures and how they’ve changed over time—like this beauty, which is printed on the coffee mug I’m drinking from as I write this—each Tempestry captures a single year in a single location, with individual knitted rows representing daily high temperatures, colour-coded from -34 degrees Celsius and below to 49 degrees Celsius and above. Knit one for every family member’s birth year and location, and you’ve got a unique record of the climate each of your loved ones was born into. Knit enough of them for a single location, and the colours start to tell a story of how a local climate has changed over time. For instance, a collection of Tempestries from Utqiagvik in the US state of Alaska—shared at the Creative Climate Awards in New York City this past autumn—clearly shows the dramatic rise in fall and early winter temperatures that residents of America’s northernmost city are experiencing. Justin Connelly said that the project has been spreading mostly via word of mouth and social media, with knitters running the gamut from climate activists to crafters drawn to the idea of creating something that’s both personal and globally significant. Many, he said, will buy a custom kit through the Temepstry Project to get started—they’ll spin you up the correct colours and amounts of yarn for any year and location they can—and continue knitting data scarves on their own thereafter, following the group’s instructions for acquiring the data and using the temperature scale they developed with KnitPicks’ Wool yarn. A selection of the Tempestry Project’s work is on display at the Museum of the Northwest in Washington until 5 January. And for those who’d like to knit an addition to the group’s ever-expanding archive, there’s never been a better time to get started. Tempestry is running a sale on kits for the years 1968 and 2018 through the end of January, which if nothing else will remind you how much colder winter was 50 years ago.